This book is still four months out but I couldn't not jump at the chance to read it as soon as possible. I actually gave it a go in February, because I had been excited about it long before I got a review copy. 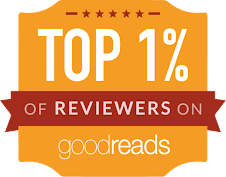 This is rare for me - I'm not a huge fan of YA contemporary novels. But something about this one appealed to me. And I enjoyed the book! Claire Collins has moved more times than she'd like, thanks to her dad being a football coach. Her new school is pretty great, she has made new friends, her younger brother fits in on the football team - coached by their dad. Claire wants nothing more than to graduate and go to Auburn, her dream school, and leave her past behind. 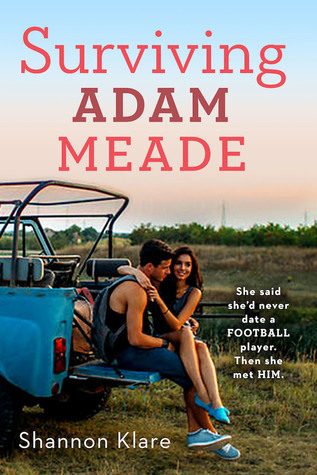 She didn't plan on Adam Meade entering her life. Adam is the star QB of the high school's football team, and he gets under Claire's skin. Claire gets under his skin like no other. What happens when sparks fly between two stubborn, strong-willed teens? There was sooo much banter and sarcastic exchanges in this book. Adam and Claire have chemistry from the start, and this leads to a lot of heated banter. There is tension between them, and it manifests as irritation first, and then something more passionate. I personally adore hate-to-love romances, so I was ALL for this. 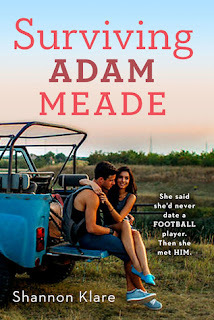 There is a slight forbidden trope too, as Claire previously dated a football quarterback at her former high school, and Adam is the quarterback at her new high school. Even though her dad is a football coach, her brother plays football, and she has been around football her entire life, she doesn't want to date a football player (again). She wants to graduate and go to college and start fresh. So Adam is a bit forbidden, and even though she is very attracted to him, she doesn't want to want him. At first. I love how the romance progressed. Like I said, it's hate-to-love, and it's hilarious and swoony to watch. The beginning is a little rocky - these two seriously did not get along - but they start to be nicer (while still sarcastic and banter-y) to each other. There is instant tension and chemistry, but not insta-love (in my opinion). I liked Claire, her drive to get to college, her steadfastness about Auburn, and how she wanted a healthy relationship with Adam after her disaster of a formerly healthy relationship with a guy at her previous school. I connected with Claire because she is so motivated and determined. I liked Adam, even though he is a player and a little annoying at first. He has a lot of confidence (which I love), and he's actually a sweet and decent guy. There are a lot of layers to him - it's not just the star football player that you see. This isn't just a romance novel, or a high school drama, or teen angst novel. There is very little drama, and I liked the high school setting and the high school conflicts. This novel really worked for me and brought back memories of high school - which was five years ago for me, yikes. Anyway, it's not just about the romance; Adam has his own personal problems, Claire has her past to reconcile, and of course there is the future, with college. Believe it or not, the ending is a HEA! I was pretty pleased with it. I honestly didn't think it would end super well (these types of novels always have a bittersweet ending). But it was good! I wanted more swoonssss. There were actually a few, and they were scattered throughout the story. Maybe this novel might have functioned well as a New Adult novel? It was great as YA though, but I feel like with all of the tension and chemistry that Adam and Claire had, the author could have taken this relationship places. I'm just saying! 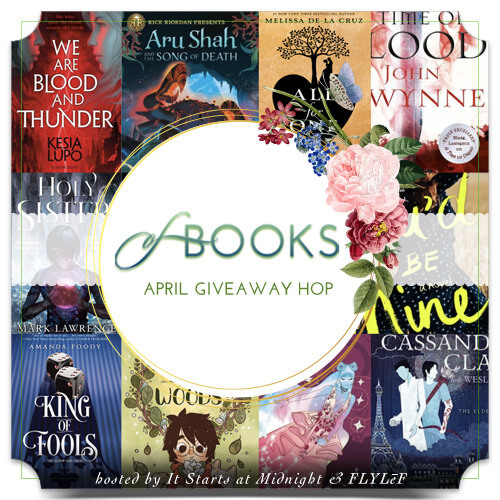 If you love YA contemporary, definitely give this book a shot! 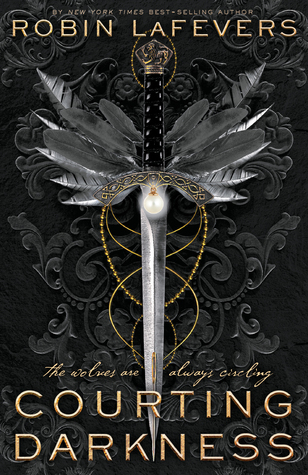 I tend to only gravitate towards and enjoy the romance-y YA contemporary novels, and this was a very romance-y one. I liked it a lot, everyone might not though, but it's worth a shot! It's a quick, engaging read and I think people will either love it or hate it. Hopefully love it! 4 stars. I see it might be book one of two? If there is a second novel, I hope it's more ~New Adult~ than Young Adult. If you know what I mean. I wouldn't mind seeing the college side of things! This one sounds cute! I love the idea of the forbidden love. Great review! You are reading so many books lately :D YAY. And so many from this genre, haha ;) I could never, lol. <3 But so glad you enjoyed it a bunch, eee :D YAY for a HEA. <3 That is the best. Sigh. I so want this book, and with you giving it 4-stars, it must be worth the read. This is pretty much my sweet spot, so I am confident I will like it. I also NEED an HEA, so I am happy to hear this one was a good one. Great review!